Runescape pking can be challenging, so you need to know the basics. This rs guide will introduce you to the world of pvp and pking in Runescape. So lets take a look at this Runscape pking rs guide! Playing Runescape, you start out as a level 3 character. You have the choice to pick any name you want and, after the long and boring adventure through the tutorial, you end up in a place called Lumbridge. You are now free to roam and go about as you please, doing anything the MMORPG game offers. A large amount of players choose to test out their characters skills they’ve trained in pvp worlds, which means player vs. player worlds. In these worlds, you can travel all over the map and you will be in a place where others can kill you and you can kill them. You can still skill, train, make money, or do what you need to do in these worlds, however you must accept the risk of dieing. Now that the depressing part of pvp worlds is explained, I will move onto this series. In this series, you will find detailed guides to help you create an "ownage" character when you participate in pvp pking. Pking is the term used in Runescape to explain what you are doing, which is trying to kill others in pvp worlds. Pking is short for player killing. 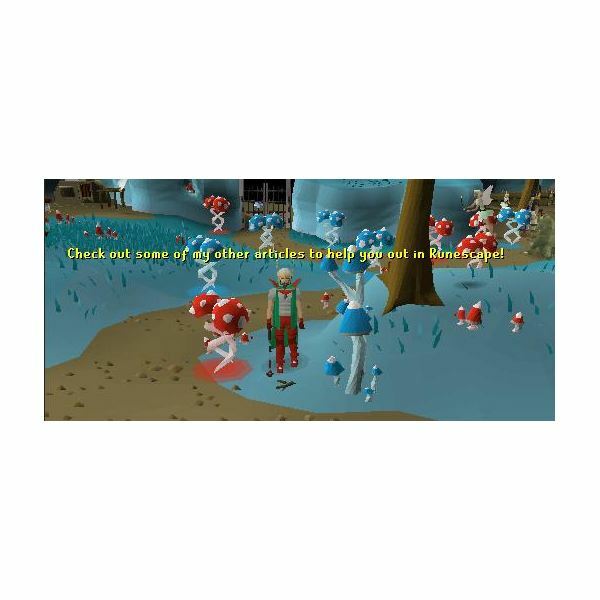 Runescape pking has many rules, strategies, possibilities, and directions that can be taken and used to your advantage. This rs guide series will break down every part of Runescape pking in pvp worlds and teach you what it has to offer. You must first know what will will be doing and how to do it, in order to be successful. This Rs guide will break down the magic pure, ranging pure, the different types of melee pure, and tankers, which are all types of accounts, with different levels needed for each, you can train and set your account up for. Each pure is used for different strategies in the game, which each guide will go through the ways to pk with that specific pure. Those of you who have been in pvp worlds know how talented some pkers are. Some can kill other players with one or two hits. I’m not talking about high level players special attacking low level players, and killing them. Some players can two hit players 20 levels higher than them! Wouldn’t we all want to do this? This guide will go through every step you need to know to get to this point. If you are just starting out pking, give special attention to the picking your style of pking and the necessary account type, as it is the biggest decision you will have in pvp. The rest is practice and training until you become an elite pker in Runescape pking. Being overconfident is one feature you have to watch while pking in pvp worlds. Watch your temper, as you could get banned for bad mouthing, and watch out for who you pick a fight with. Many people take out good items and lose them because of these mistakes. Runescape pking can be very rewarding if you are good at it. Read this Before Training Anything!!!!! You must know that pures have certain level requirements. If you train the wrong stats, you can potentially ruin that account. I was training to be a Max Barrows Pure with my account, which you can read about under the Barrows Pure article that will later be discussed, and I trained one defense level too high. This ruined my pure account, so now I am forced to just train it up to an Rs Max Pure, which will also be explained in a later article. If you happen to gain a level too high, it really doesn’t matter. Some clans may not let you join because they are very strict on levels, while others prefer you to be one or two levels around the certain levels needed for the pure account. Remember to read the guides to find out what levels you will need and then start to train. If your goal is to be a Range Pure, don’t start by training defense! You need 1 defense for these accounts! Levels for each account are specifically mentioned in each article, so please pay attention to avoid mistakes! Why not learn a cool, fun way to earn money and show your true ability in the game? You will learn everything there is to know about Runescape pking in this rs guide. Take a look and good luck! So you play Runescape? Did you ever log into a PVP world and die? Have you ever fought against someone, and wonder how they can beat you, with all lower levels in combat? Ever get downed by major Clan rush? Take a look at this series to find what you need to know in order to own in PVP worlds! !